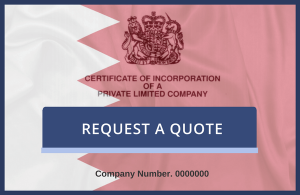 If you have UK commercial documents that need legalising for use in Bahrain, we can help. The actual legalisation process differs dependent upon the type of document it is. Some documents will only need to be certified and then legalised at the UK Foreign & Commonwealth Office (FCO), whereas others must be certified by the Arab Chamber of Commerce. Please request a quote telling us what document(s) you have and we will provide you with an individual quotation.